What is it and how do I eat It? 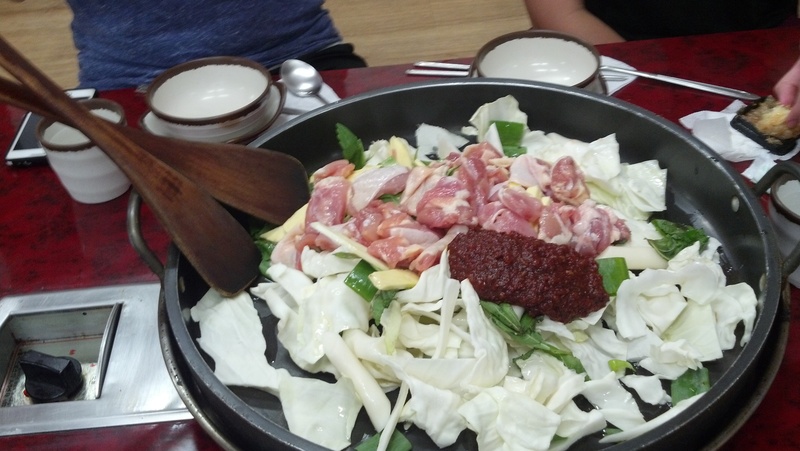 When the pork’s ready, place a piece of meat on a lettuce or sesame leaf. 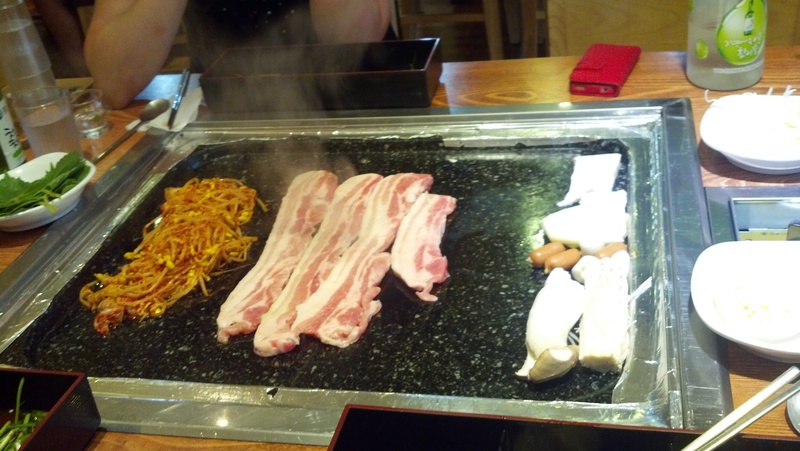 Add whatever else appeals from the grill (this could be garlic, kimchi, mushrooms, bean sprouts, etc. ), and maybe a bit of rice. Top with a dollop of deliciously salty bean paste (doenjang – 됀장), roll it up fajita-style, and enjoy in one glorious bite! How do I get it in my belly? 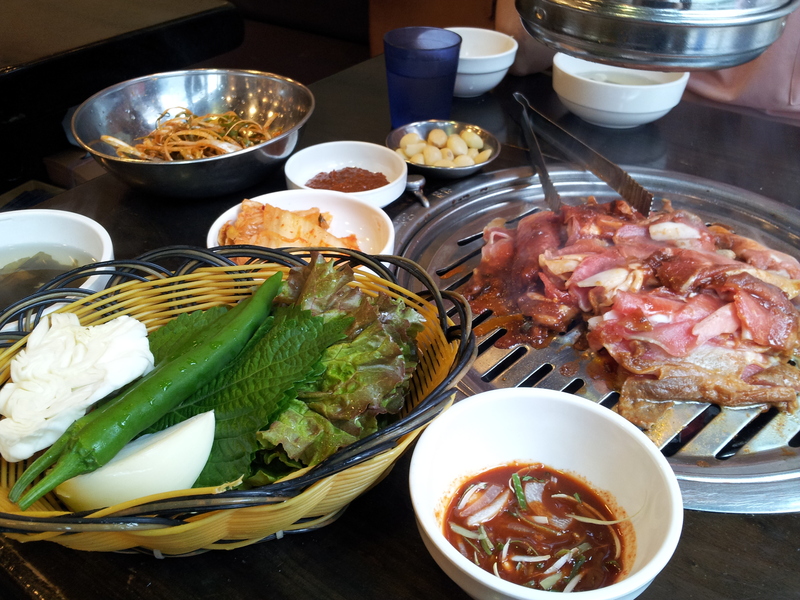 The challenging thing about recommending Seoul food is that many restaurants close and change locations frequently. 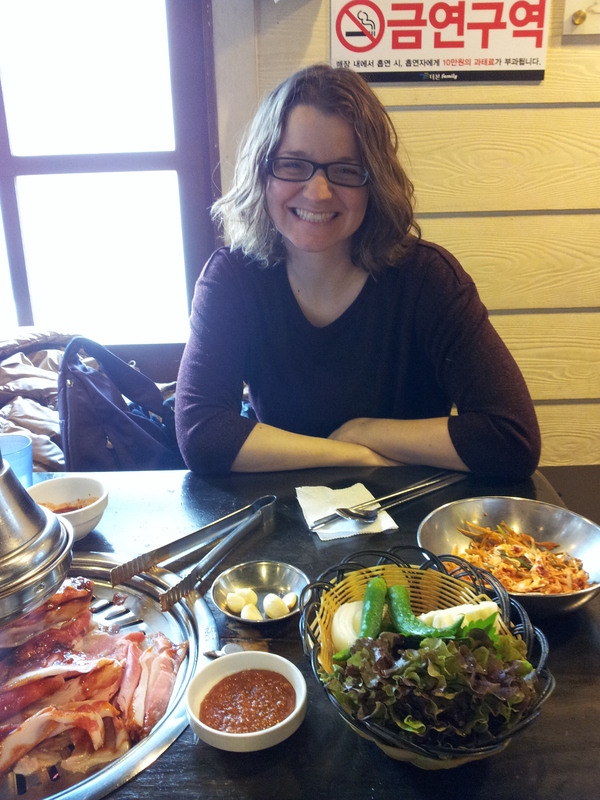 It’s best to ask a local to recommend a good spot for samgyeopsal. Eat it in a lettuce leaf, or on its own. How do I get it in my belly? A reliable chain to try either style of this dish is Yoogane. You can find them all over the city. Again, also ask a local for their recommendations. 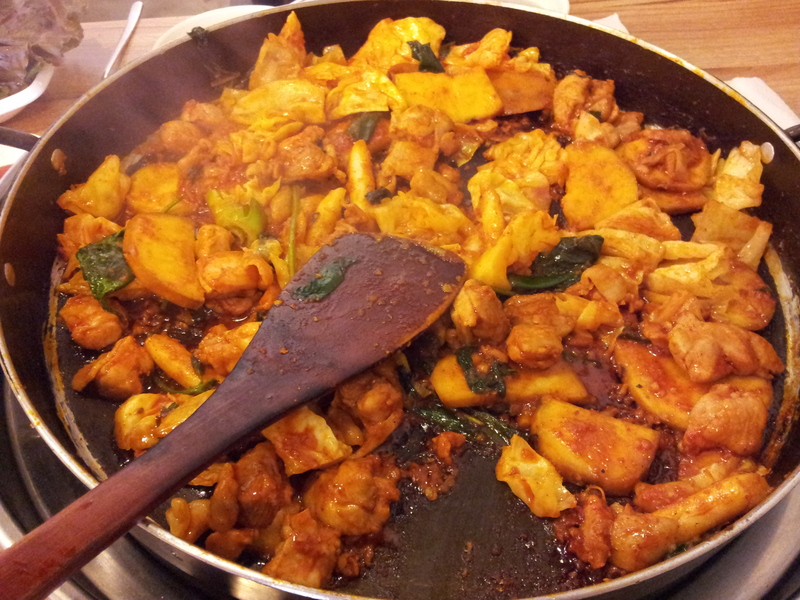 Small, family-owned businesses will definitely make a fantastic dakgalbi! This one is really thinly sliced, and covered with a good ol’ red sauce marinade. 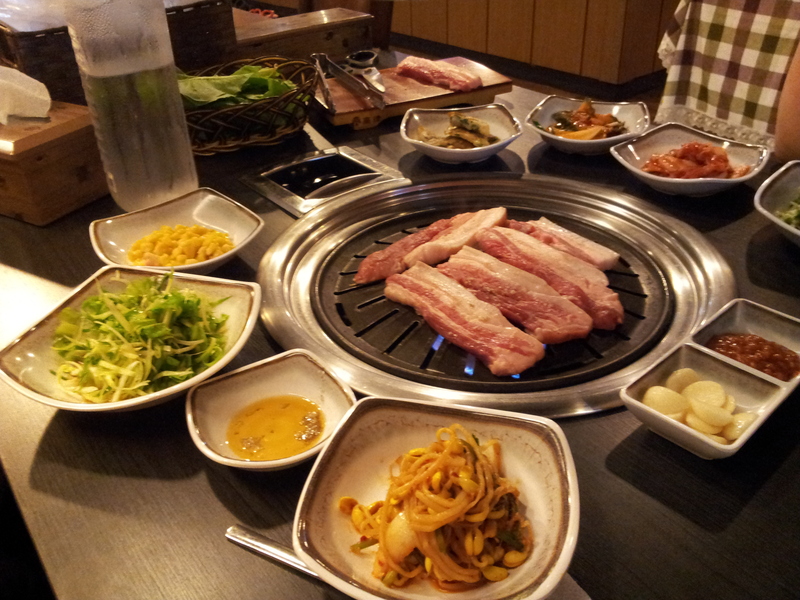 Enjoy it in the same way that you would eat samgyeopsal. I recommend trying it in a sesame leaf! If you order rice, it will come with a delectable soy bean paste and vegetable soup/stew (doenjang jjigae –된장찌개). How do I get it in my belly? 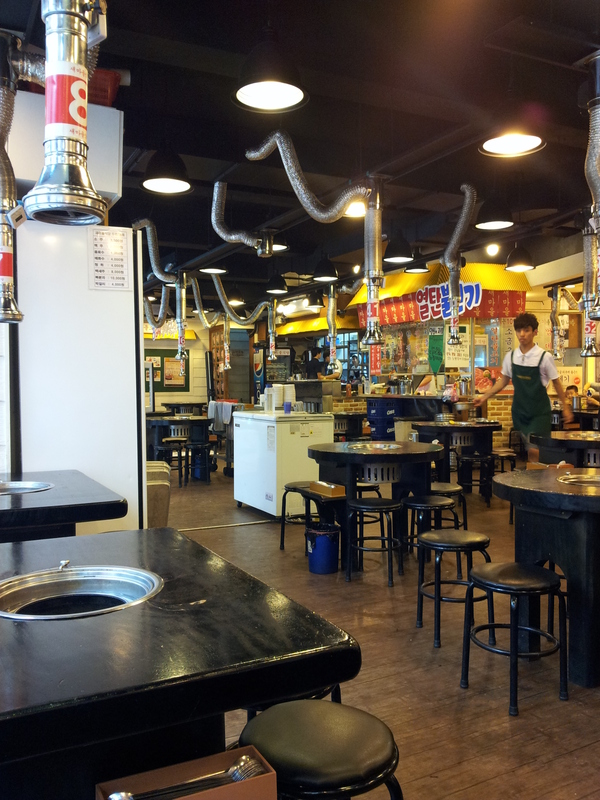 새마을식당 “Sae ma eul” Restaurant. There are lots of branches around the city. If you go to the chain below to try this dish, it will come with a literal table-full of side dishes (banchan – 반찬), in this case: salads, cheesy corn, and soft tofu with cooked kimchi. 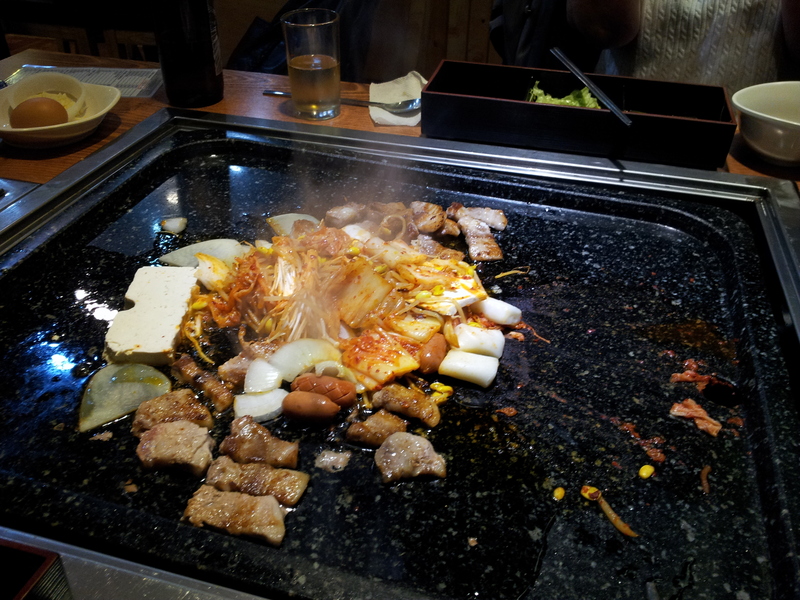 They also pour an egg mixture into a ring around the grill, which makes a sort of “egg crust” or mini omelette that cooks while the meat does! Galmaegisal doesn’t come in lettuce leaves. Simply dip it in the sauces in front of you, maybe top it with garlic and a dab of soy bean paste (I usually construct it in the dipping sauce dish), and enjoy!